Fresh herbs add great depth to any meal. One problem I have found is that they just don’t last very long in my produce drawer in my refrigerator – especially organically grown herbs. Enter this simple solution: cut 1/4 inch to 1/2 inch off the stems and place into a mason jar or glass half full with water. Place herbs in like you would flowers. 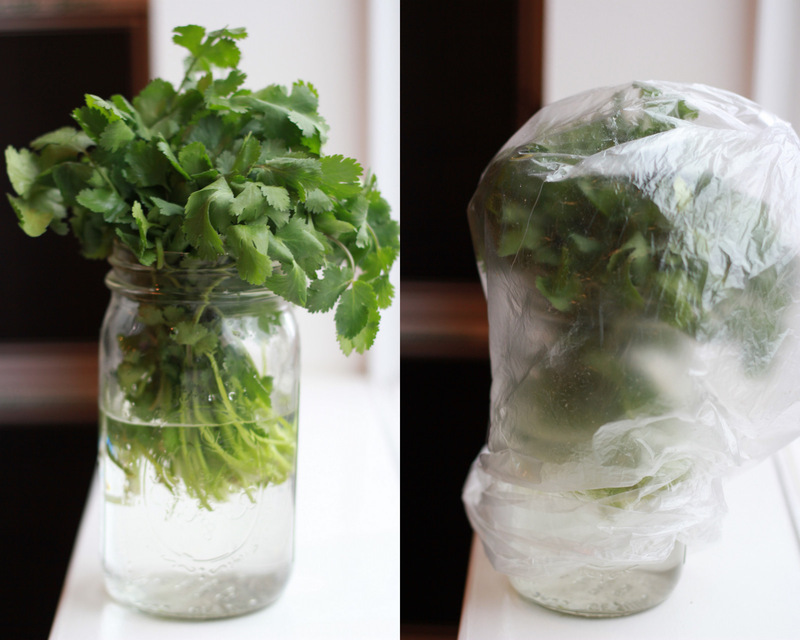 Then cover with a plastic bag and place in refrigerator. I like to use the produce bag I purchase the herbs in. The herbs I buy on a regular basis are flat leaf parsley and cilantro and both will keep for approx. 2 weeks using this method as opposed to a few days!